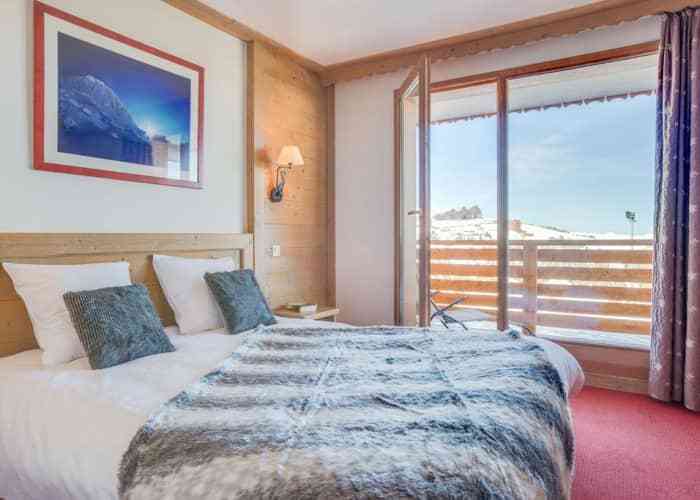 This ski in/ski out hotel boasts a piste-side location in Plagne Soleil, with great views of mighty Mont Blanc. 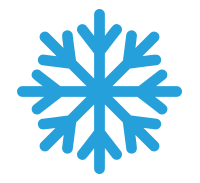 Staff deserve high praise for their efficient and friendly service. 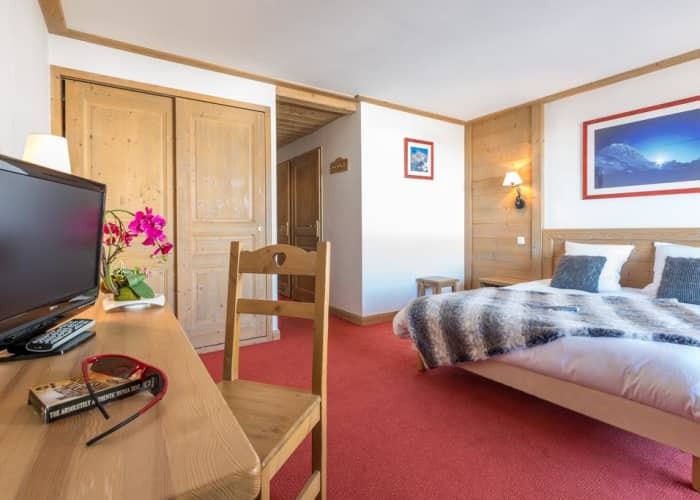 Facilities are good here too, with a large, indoor swimming pool to unwind in after a day on the slopes, plus a sauna, steam room and hot tub. Food at Hotel Le Vancouver must get special mention too. The breakfast buffet is a tasty, versatile affair, and dinner is a real treat thanks to its fresh, local produce and great attention to detail. The bar here is good too, and you could easily while away the evening in its cosy surrounds, enjoying a poste-piste drink. 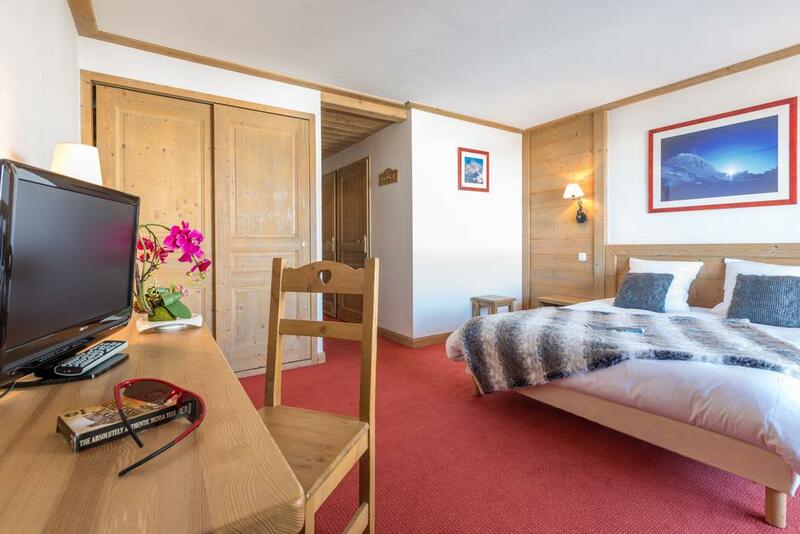 If you fancy venturing out of an evening, however, you’ll find Plagne Soleil’s restaurants, bars and shops all within a 3 minute walk of the property. The free shuttle bus service, which heads to all La Plagne resorts, can be hopped on just outside the hotel. This room can accommodate a maximum of 3 adults or 2 adults and 2 children under 18 years. (4 adults will not be accepted.) There is a bedroom with a double or twin beds and a further bunk bed. The top bunk is solely for a child under the age of 6 years old. There is also a balcony available, perfect for taking in the wonderful surrounding views. 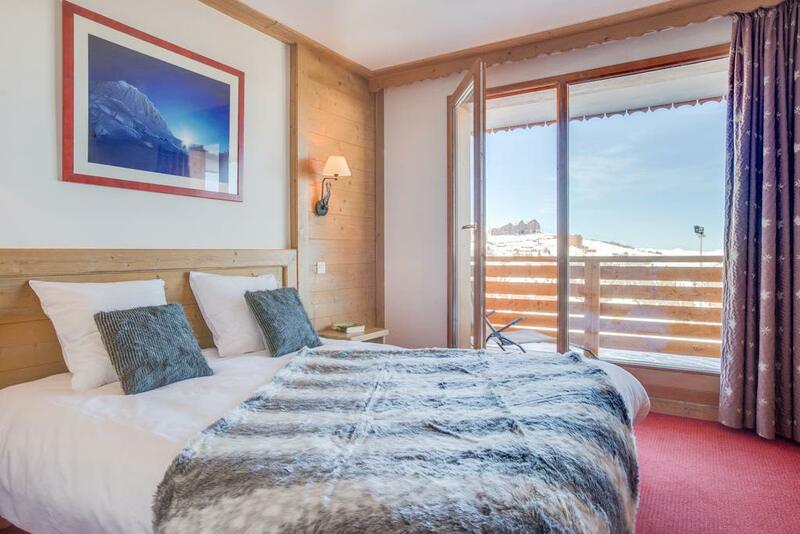 This double or twin room comes complete with a balcony, perfect for taking in some breathtaking views.